I believe all of you heard about this cream and it’s not an unknown item for any of you. Having in mind I’ve already emptied a couple of packs and decided to buy it again, I’ve also decided to write my opinion about it. For women with the visible signs of sensitive, dehydrated, normal to combination skin who want long-lasting soothing hydration. 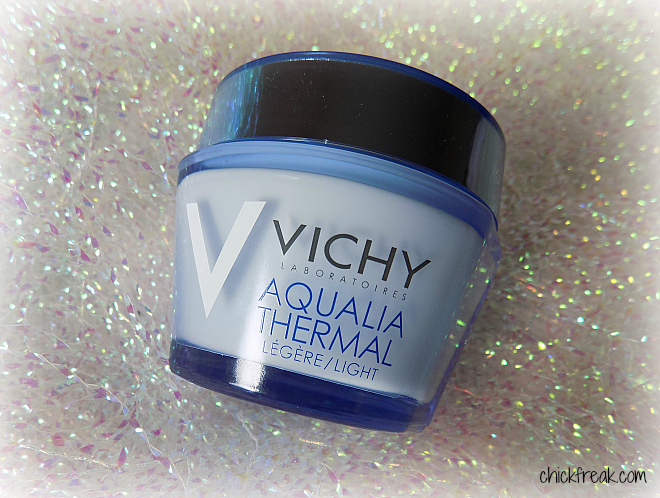 Enriched with Vichy Thermal Spa Water and Hyaluronic Acid, Aqualia Thermal Light provides continuous hydration, for up to 48 hours intense comfort and protection against daily aggressions. I have a mixed-type skin, my T-zone is a bit greasier during the summer, while my cheeks are pretty dry and what my face misses the most is hydration. This is a reason why I use serums with my face creams. 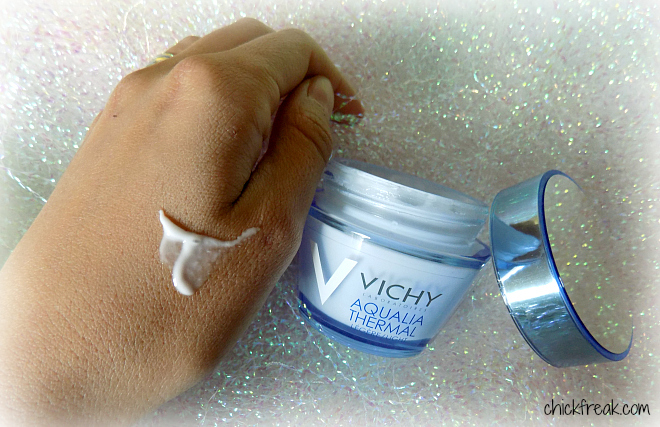 And with this cream together I used also the Vichy serum from same line. 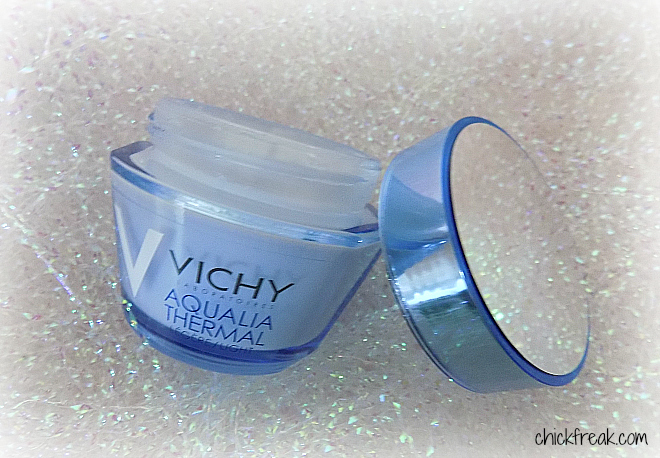 This cream comes in a blue, glass jar in the amount of 50 ml. You can buy it in most pharmacies or drug stores and I paid around 17€ for it. The expiry date is 12 months. This cream has a light, slightly gel-like structure and it really absorbs fast which is only a bonus in my book and it can also be a good base for a foundation. After you apply it, you can feel how it moisturizes your skin nicely and you don’t get any stinging or stretchy feeling on your skin after you’ve used it. This cream only has positive effects on my skin and I can really see the difference when I’m using it and especially after I stop using it, because my skin is really good hydrated with this cream combined together with the serum. 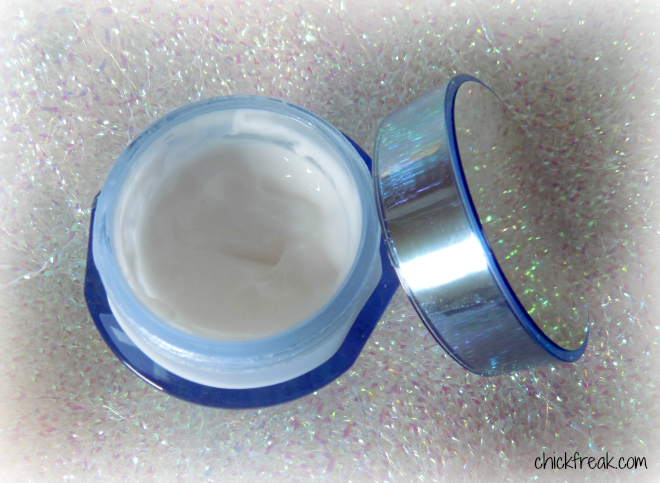 Its only flaw, for me, is the fact that it’s in a jar because I prefer my creams to be in tubes or to have a pump; and that it has a slight perfume note to it, but this you don’t really feel when you’re wearing it on your skin. At the moment, this cream works really great for me also as a night cream and I’m using it like one too. For those among you that have dry skin, I wouldn’t recommend using this cream because I don’t think it would suffice on its own.